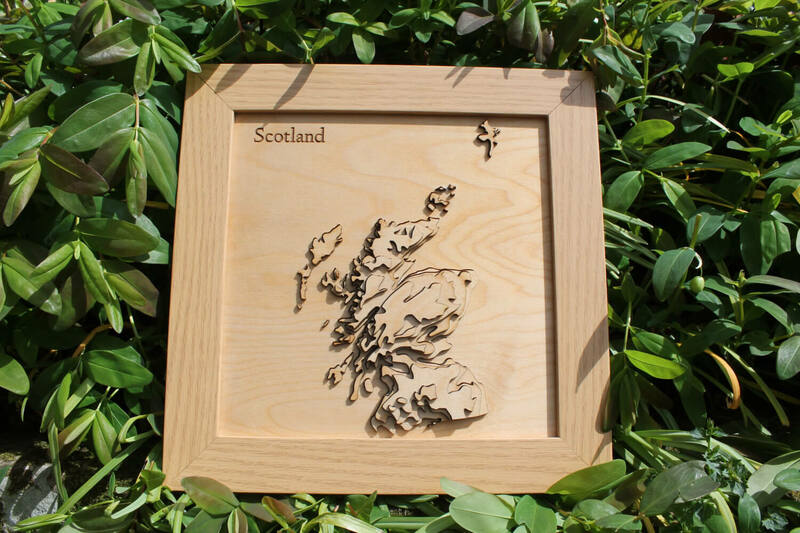 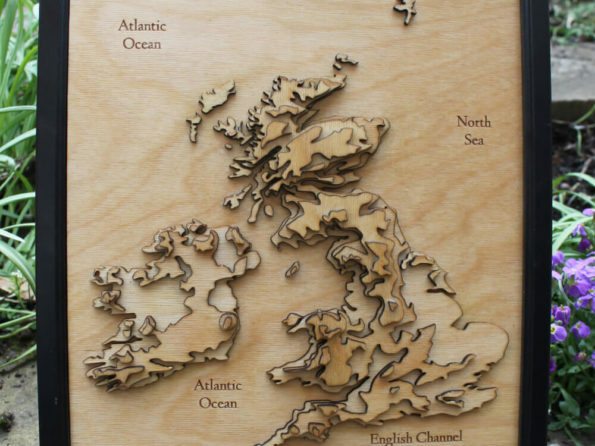 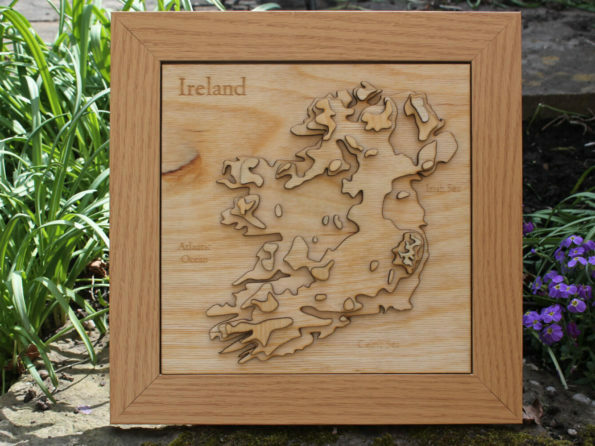 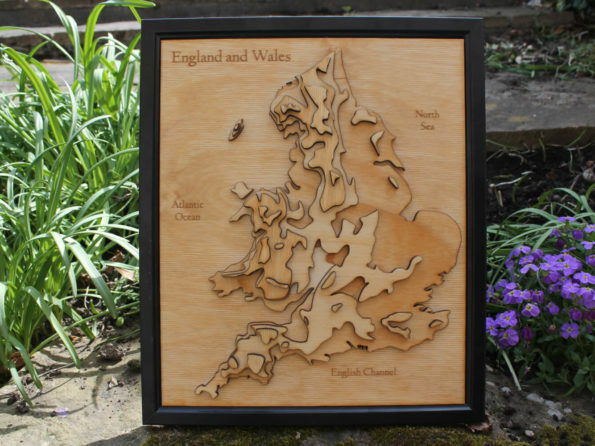 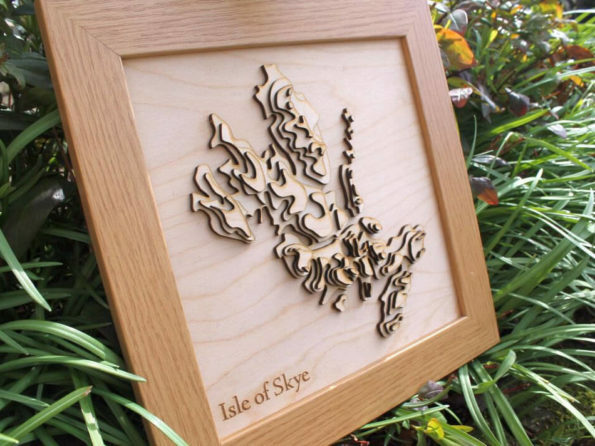 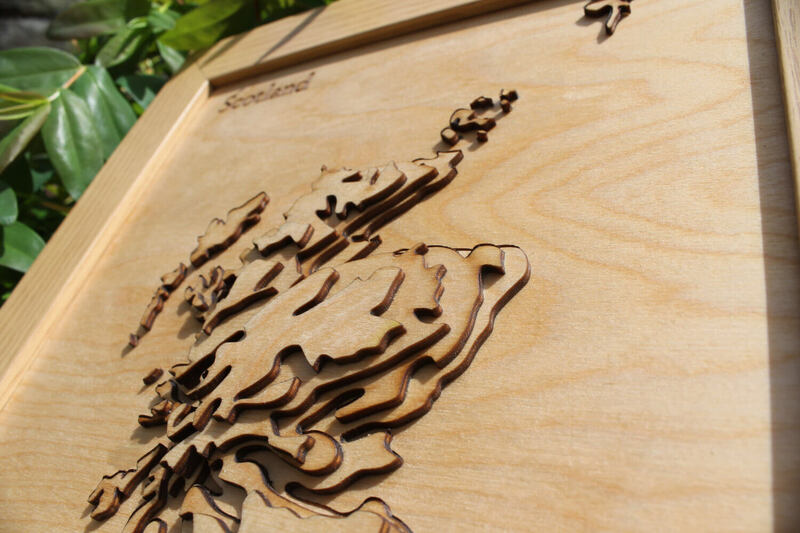 This is a 3D map of Scotland laser cut on birch wood. 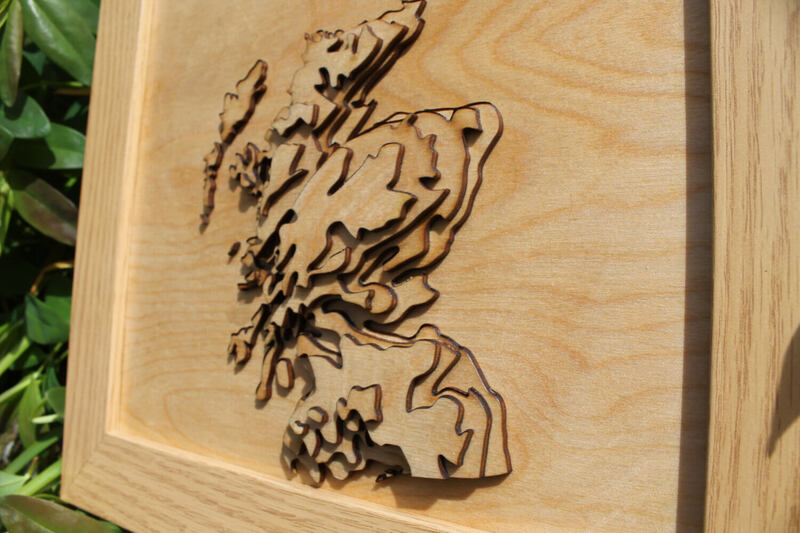 This contains Scotland on one map. 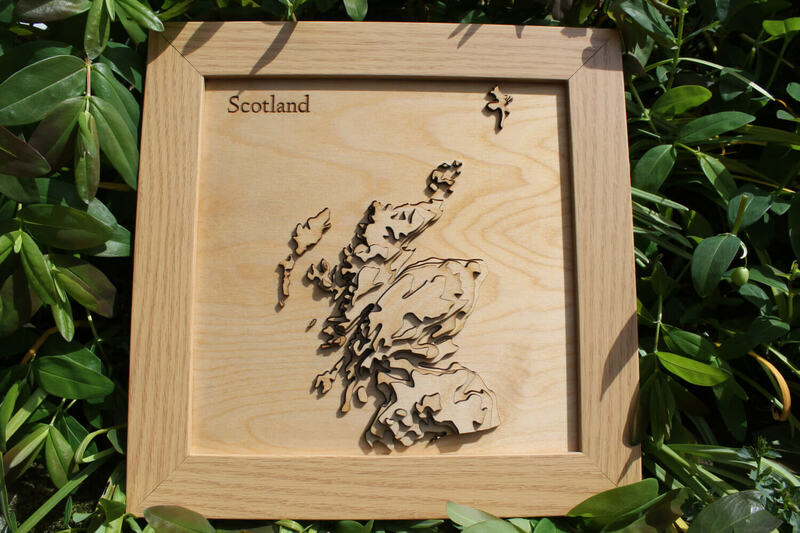 This item uses five layers to create a 3D representation of Scotland. 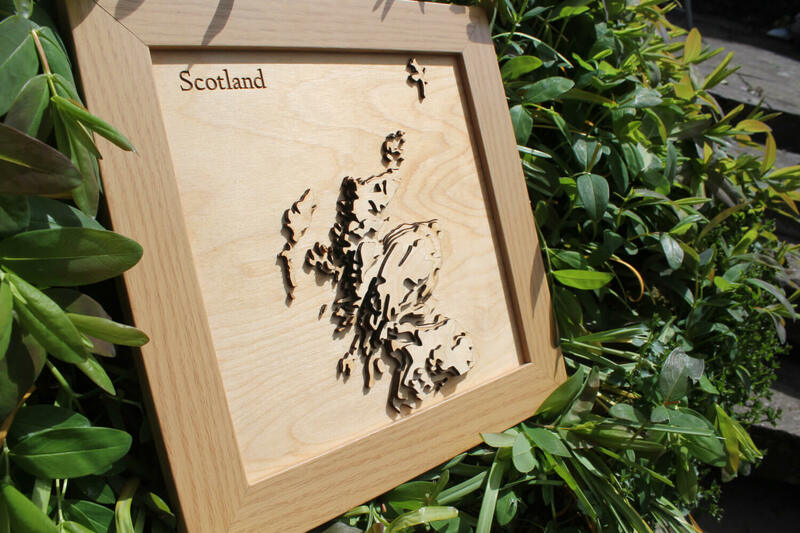 It comes complete with the frame, as pictured.